It is no secret; security and compliance are at the top of the list of concerns tied to cloud adoption. According to a recent 2017 Cloud Security survey to over 350,000 members of the LinkedIn Information Security Community, IT pros have general concerns about security in the cloud (33 percent), in addition to data loss and leakage risks (26 percent) and legal and regulatory compliance (24 percent)1. 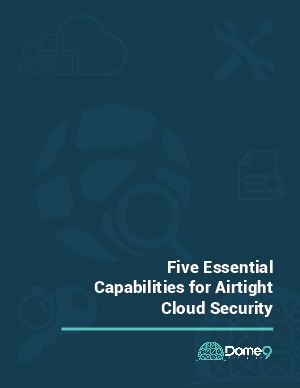 The number of reported breaches in enterprise datacenter environments still far exceeds the reported exposure from cloud platforms, but as businesses start using public clouds to run their mission-critical workloads, the need for enterprise-grade security in the cloud will increase. to manage infrastructure security in the public cloud.